Welp I've been getting my behind handed to me in Dark Souls 2. Time to listen to some great music! So this is exactly new but if you haven't heard this album it's amazing. And best part is it's officially free. What a nice guy Uppermost is! I'm kind of a sucker for Uppermost but for good reason. So this album is more light, glitchy and catchy. It has some voice samples from some Daft Punk and other familiar bands. But it really is beautiful and relaxing. To understand what I mean, have a listen to Beautiful Light below. Grab the whole album FREE HERE! No email address or Facebook like required. 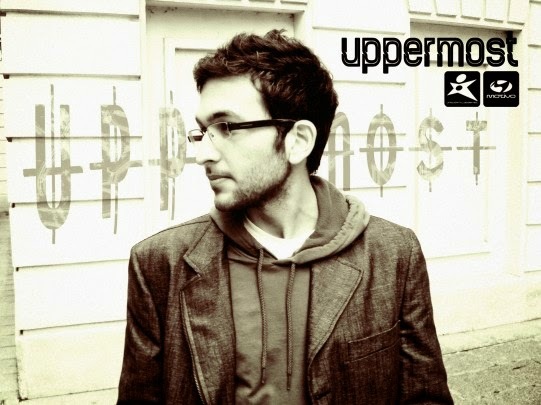 Be sure to show Uppermost some loving at his Soundcloud, official site, Facebook or Youtube. He deserves it. I'll feature his newer and more recent album soon. A very interesting sound. I'm not sure I'd download it, but I enjoyed the song. Thanks for swinging by my blog earlier! Cool song. I like the mellow groove to it along with the vocal sampling. I need to check this album out. So, "stop and go" is the official name for this, or did Pat Hatt just make up a term? Either way, I really like that, and the glitchy parts Shutterbug mentioned, too. This has me rocking back and forth to the rhythm as I type this, great stuff. Also, correction, this seems to be the official site, not the one you linked. I have absolutely no idea why I haven't heard of any of this, since Uppermost's corner in my library is so heavily glorified. I like that Say Say Say sample from the late MJ. Thanks for stopping by. Creative, but I am old. Too much sports and news on the radio for me--when I do have a kiddo free vehicle which is not that often. Enjoy your weekend.